Japanese Defense Ministry said some parts of missing JASDF F-35 stealth fighter jet that crashed into the Pacific Ocean has been recovered on Wednesday. Boeing unveiled its newest unmanned platform, the Boeing Airpower Teaming System, designed for global defense customers by Boeing Australia. An Atlas Air Boeing 767 cargo aircraft Flight No. 3591 operating from Miami to Houston has crashed on Saturday afternoon. The aircraft went down near the city of Anahuac Texas, in the Trinity Bay. Hindustan Aeronautics Ltd unveiled the naval variant of ALH Dhruv helicopter during the Aero India 2019 air show. The first prototype of Russia’s next-generation unmanned combat air vehicle (UCAV) has been spotted undergoing ground tests at the Novosibirsk Aircraft Production Organization (NAPO) in central Russia. Bell Helicopter revealed the configuration and full-scale vertical-takeoff-and-landing (VTOL) air taxi vehicle today during CES 2019. U.S. Air Force has accepted the first Boeing KC-46A Pegasus tanker aircraft, setting the stage for the aircraft’s delivery to McConnell Air Force Base, in Wichita, Kan., in the coming weeks. 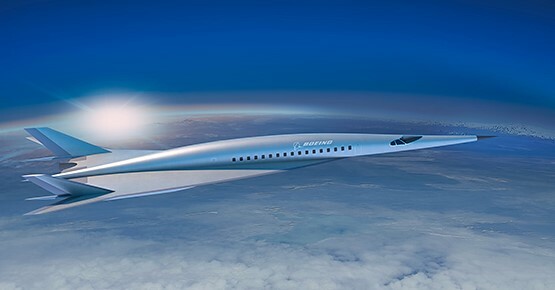 Boeing has unveiled a refined version of its Transonic Truss-Braced Wing (TTBW) ultra-efficient airliner concept. Russia has successfully test fired its modernized anti-missile air defense system for the second time on 30, November. The first prototype of the IL-112V light military transport aircraft has been rolled out of the Voronezh Joint Stock Aircraft Manufacturing Company final assembly line in Russia. The first prototype of the new Russian military transport helicopter, Mi-38T completed maiden flight. Boeing has rolled out the first Boeing 737 MAX 200, a variant based on the successful 737 MAX 8 that can accommodate up to 200 seats. France has lost its first General Atomics MQ-9 Reaper remote piloted aircraft while operating from its Niger airbase on Saturday. The Lockheed Martin F-35 stealth fighter has commenced flight testing, the life saving Automatic Ground Collision Avoidance System (GCAS). China has unveiled an advanced under-development AESA radar to equip the JF-17/FC-1 fighter jet developed for Pakistan. A newly delivered Egyptian Air Force MiG-29 fighter crashed during a military exercise on Saturday. A U.S. Marine Corps F-35B Lightning II fighter jet crashed near the USMC air station in Beaufort County, South Carolina on Friday morning.